Spokane's flourishing food scene is grabbing some deserved national attention again. This time, Inland Northwest chef and restaurant owner Adam Hegsted — chef-owner of The Wandering Table and The Gilded Unicorn in Spokane, and The Cellar in Coeur d'Alene — has been named a semifinalist for the prestigious James Beard Best Chef Award. 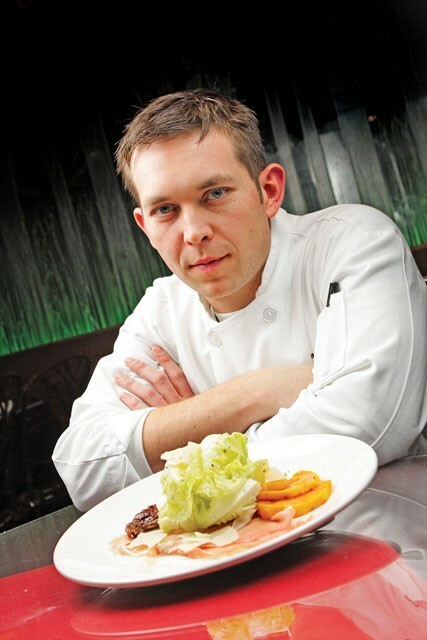 Hegsted is a semifinalist for the Northwest region, which lists a total of 20 chefs mostly from Seattle and Portland. James Beard Awards are a big deal for those in the food and hospitality industry. Semifinalists are chosen from a pool of more than 20,000 nominees from across the country — landing a James Beard Award means you're one of the best chefs in the nation. Spokane's culinary creatives are no stranger to this accolade, as last year we also saw Sante Restaurant & Charcuterie and Common Crumb Chef Jeremy Hansen named a semifinalist. This year's awards are to be presented during the 2016 James Beard Awards Gala in Chicago, on May 2. But first, we'll be rooting for Hegsted to be named a finalist in an announcement about a month from now, on March 15.